Figured out the avatars – you have to be using gravatar.com I think. Tags: avatar, gravatar, pain, yet another site to register on. Trying out the “P2” theme, which makes WordPress look not unlike Twitter. Maybe I’ll post more. Hm, if I had a plugin for ping.fm, I definitely would post here more.. In the course of doing this, I had to upgrade to WordPress 2.7.1, which was a big no-brainer.. Tags: blog, p2, site, theme, update, wordpress. SciFi Channel —> SyFy Channel?!?!? 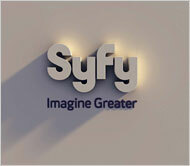 The US “SciFi” channel is going to be renamed in July to the “Syfy” channel. P.S. WordPress seems unable to handle UTF-8 characters in the title of a post. I *tried* to use a proper arrow character, really I did. Tags: idiots, scifi, sf, syfy, tv. I seem to be downloading a couple of Gigs of stuff this morning. I am grabbing both the “desktop” and “server” editions. I plan on using the server edition when I rebuild Tnir. (last time, with 4.5, you had to compile it yourself to get 64-bit goodness). But you have to dig around to get them. Here are the links to save people some trouble. If you want to debug, you should get both the normal and debug libraries. And the debug libraries are huge compared with non-debug. 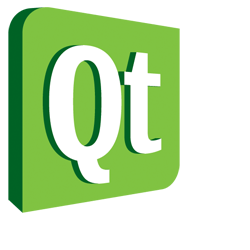 Tags: 4.5, 4.5.1, 9.04, desktop, freesoftware, gnu, lgpl, qt, release, server, software, tnir, ubuntu. I got notified about this by Tek Savvy today, so I entered the following on their comment page. Bell's attempts to limit the availability of inexpensive high-bandwidth service would have a grave consequence: Canadian users would lose affordable internet services such as high-quality video downloads available from online producers like Apple and http://revision3.com -- downloading just ten 430 MB episodes would consume over 7% of the proposed 60 GB monthly cap. This kind of tariff would kill modern services such as HD movie rentals on iTunes, turning Canada into an internet backwater. Canadians have been able to boast about our high-tech infrastructure to the world. This one action would topple Canada from the top to the bottom of the internet world. CRTC web page set up for it. Just select the word “Tariff” from the drop down list, and add the following in Subject Line: “File Number # 8740-B2-200904989 – Bell Canada – TN 7181” – make your thoughts known! The deadline for comments is tonight at midnight, so hurry! Tags: Bell, canada, crtc, internet, tariff. Wow, quite a few shows on TV tonight. to have a calendar showing upcoming shows. so maybe they have iCalendar data I can use? Worst case I can write a quick CGI script to read XML from TVRage and convert it to iCalendar on the fly. Seems like a lot of work to go to though.. So wow, that’s like 12 shows! Which is good because the rest of the week is pretty bleak until Friday.. Tags: calendar, guide, iCal, iCalendar, python, script, shows, tv, xml. 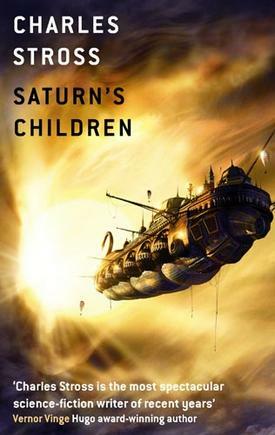 I’m finding it harder to find good hard SF books to read. One recent “find” was Charles Stross, a friend of Cory’s who he’s worked with. I’m just going to put a list of books to look into here, possibly updating it over the next while. I guess this would be an ideal opportunity to use my Amazon Associates thingee, but I’d have to dig it up out of email. Ah well. 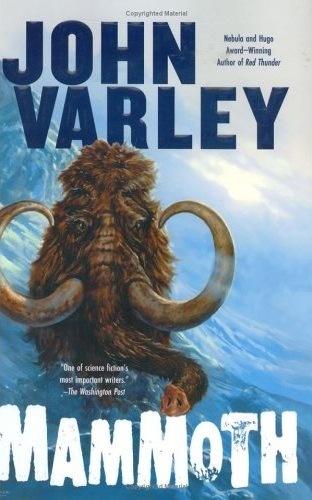 Tags: amazon, books, sf, stross, varley. Hmm, I really should cleanup this blog..
It’s looking pretty sad at the moment. :-/ It’s because I haven’t fully recovered pics.tnir.org, so there are missing graphics here and there. tags” auto-filter, which isn’t a setting. I have to hand-edit the PHP code every time. Tags: blog, filter, site, theme, ugly, wordpress.